School’s (almost) out for summer! 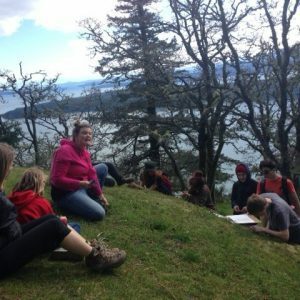 With the summer break quickly approaching, numerous off-island students had the opportunity to celebrate the end of the school year with educational trips to Galiano. 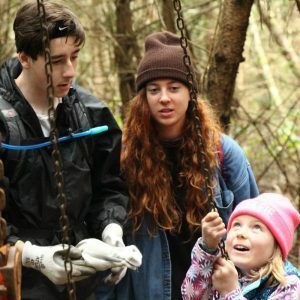 For the Back Country Experience Program, the Galiano Conservancy hosted Grade 9 students from Cambie Secondary in Richmond, for a three day, experiential environmental education program. 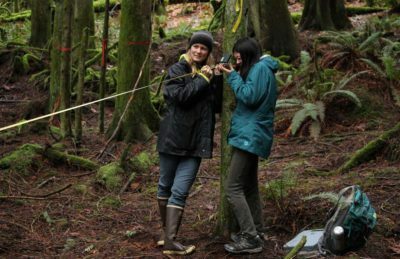 The agenda focused on the development of skills to explore, survive and thrive in coastal British Columbia’s diverse set of landscapes and ever changing weather systems. 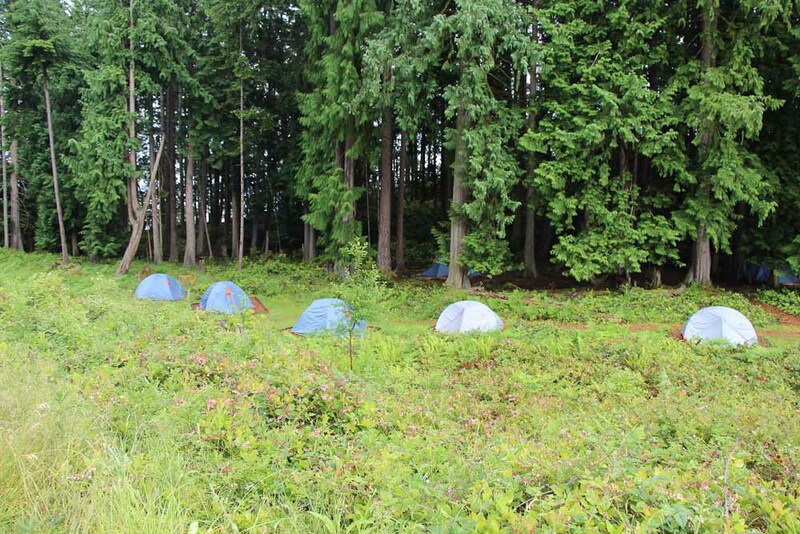 The program began with an introduction to our 188-acre Millard Learning Centre, complete with camping platforms, fire pits, toilets and a large communal meeting tent. A beautiful and challenging hike was on the agenda for Day 1! Generously supported by Mountain Equipment Co-op, brand new MEC packs, sleeping bags, mats, tents and other camping gear was distributed and strategically packed in order to prepare for the journey. With the sun shining and backpacks filled to the brim, the group set off from Laughlin Lake and made their way to Pebble Beach. After lunch and games were enjoyed with views of the Salish Sea, the group continued their 7 km hike back to the Learning Centre. Due to the changing elevation and soil conditions along this stretch, we encountered and explained various ecosystems, owing to changing elevation and soil conditions—these included dry and nutrient poor systems, moist, nutrient rich systems, and everything in between. Giant Douglas fir and Western redcedar dotted the landscape, while Salal, nettle, and oceanspray were found in the understory. After the hike the students were taught how to safely use camp stoves, the principles of fire building, and the concept of leave-no-trace camping and hiking. 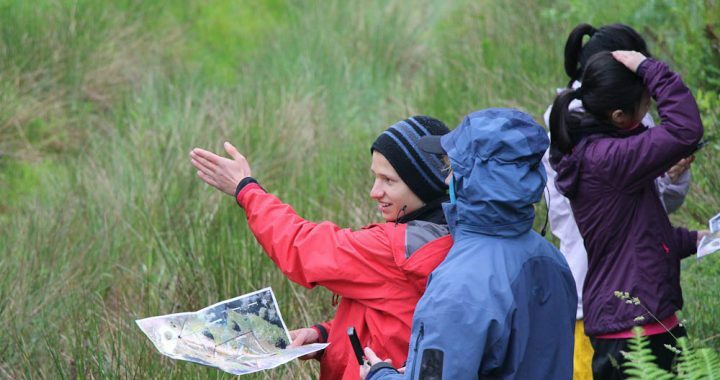 The coast’s wildest weather hit the group on Day 2, but spirits remained high, and hands-on activities on orienteering, natural rope making, fresh water invertebrates and tarp set-up were the highlights of the day. Day 3 was all about plants! Student led teaching activities allowed classmates to share their knowledge with each other, while a plant scavenger hunt put learning to the test in a fun, interactive way. Following this a lesson on Wilderness First Aid was taught and the day ended with a group reflection on the days past. 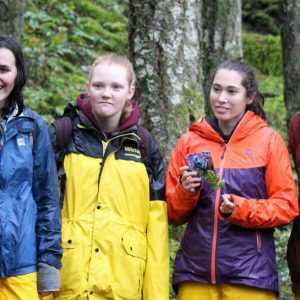 The group returned to the ferry excited about their experience in the back country, their improved relationships with their classmates, and their new knowledge regarding plants, forest communities and survival skills. Coupled with this was the new found excitement for their homes, roofs, beds and showers, as well as the thrill of telling their families and peers back at school all about their experience. Thanks for keeping a positive attitude Cambie Students, despite the sun, thunder, rain and clouds! Book your own Backcountry Experience here. Posted in Education, Program Spotlight and tagged back country, camping, field trip, school. 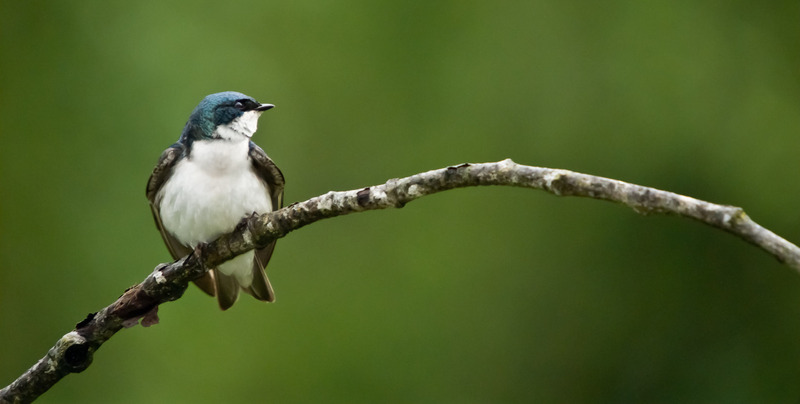 Reed Osler is the Galiano Conservancy Association’s Education Coordinator. She has been sharing her passion for parks and wild places with the public in a professional capacity for over 15 years. 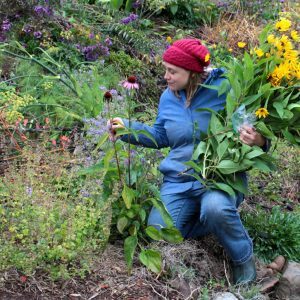 She studied herbalism at Pacific Rim College and is a certified Community Herbalist who is especially passionate about native plants, their edibility and their medicinal uses. She also loves music, theatre and art and incorporates these creative pursuits into her programs with children, youth and adults alike.